With the compounding news surrounding more innocent unarmed people dying, families being detained and separated and the recent ban on immigrants in the US, I found it increasingly challenging to go inward and focus solely on my projects. When I sat with my feelings, I thought of Harry Belafonte. Harry Belafonte is a Caribbean-American, Actor-Singer-Activist, whose humanitarian efforts continues to inspire me. He was dubbed the "King of Calypso" for popularizing the Caribbean musical style (originating in Trinidad & Tobago) with an international audience. 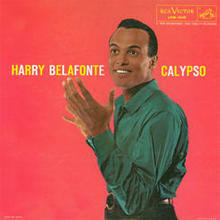 His breakthrough album Calypso (1956) is the first million-selling LP by a single artist! Belafonte was a strong supporter of the Civil Rights Movement in the 1950s and 1960s, and one of Rev. Dr. Martin Luther King Jr.'s confidants. Throughout his career, he has been an advocate for political and humanitarian causes, such as the Anti-Apartheid Movement and USA for Africa. Remember the epic WE ARE THE WORLD song and video? He was on of the key persons who made it happen! Watch today's video to learn more about Harry Belafonte and why he is a huge source of inspiration for me. To learn more about HARRY BELAFONTE, I highly recommend his documentary, SING YOUR SONG.